How I Might Have Drafted A Rockman/Megaman Spiritual Successor?! After looking at Mighty No. 9 and hearing disappointing reviews, I want to share my thoughts on how I might have drafted a Megaman successor. I feel like it's going to be quite different. Now I'm no programmer or anything but I'd like to share my imagined Megaman concept. Considering I've been a fan of both Classic Megaman and Megaman X, there's going to be a series of combined themes between them. I remembered watching VR Troopers and later, I found about the existence of the superhero Metalder. Judging by the time Megaman and Metalder existed, Metalder came first. I thought about how my "spiritual successor" to Megaman might be pretty weird. But here's my concept anyway but sorry, no original artwork. Just my concepts okay? Here's my idea. I'd be taking some of my ideas from the Tokusatsu series Metalder itself. Maybe I'll be calling this spiritual successor to Rockman or Megaman as the Mighty Megarock (combining the Japanese and American names). The story of Megarock has my Dr. Light counterpart in a darker conflict with the Dr. Wily counterpart. Dr. Ishimori (named after the voice actor for Dr. Light in 1996) pioneers the new robotics. 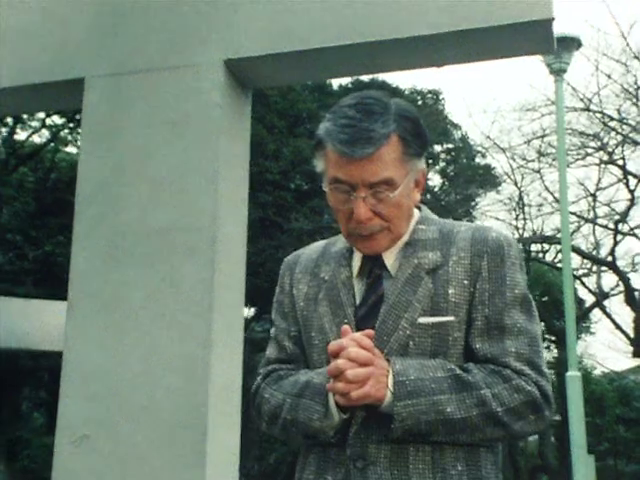 But his former friend Dr. Kageyama (named after Doctor Man's former human identity in Bioman) has other plans. 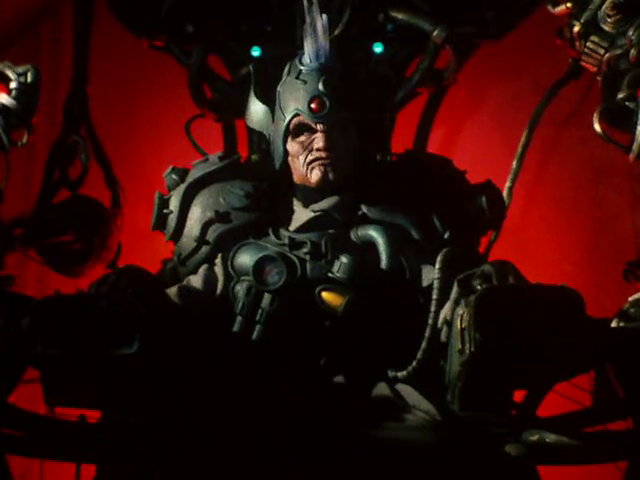 But he's a more sinister version of Dr. Wily with some parts of Sigma implemented into him. My ideal villain Dr. Kageyama would be a hybrid of Doctor Man and Emperor God Neros. Dr. Kageyama has part of Doctor Man's backstory of turning himself into a robot. His cyborg form his known as Great Emperor Tyrant. He steals some of Dr. Ishimori's blueprints and builds his own army of mechanical monsters. Part of his personality may also be part of Sigma. He reprograms several robots that were meant to enforce peace and stability for his own purposes. Because of this crisis, the hero originally named the android Tatsuo (also from Metalder) and his "sister" Rina (based on Roll) are upgraded into combat robots. Unlike Roll, Rina is his assistant ally in battle. The gameplay would be similar to Megaman in some ways. Both Megarock and Rina can pick up the weapons from their enemies. My ideal robot masters would probably take some personalities from the very first Megaman and Megaman X games. There would be eight robot masters I'd call the Tyrant Robots. I'd probably be calling them as Cutter Ninja, Lightning Flash, Mr. Penguin, Pyro Sergeant, Jetplane Commander, Guts Muscle and Missile Maniac. They joined the grand rebellion bent on making their supreme ruler Dr. Kageyama/Great Emperor Tyrant rule all over mankind. As both Mega Rock and Rina fight them, they learn to use these powers against the enemy himself. There's still the stage select screen, there's a combo system similar to Megaman 8 and you can raise your rank ups depending on how fast you manage to finish the stages. 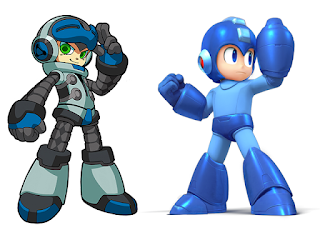 What's your ideal Megaman spiritual successor?